Kenneth Arnold Chesney is an American country music singer, songwriter and record producer. A story in this week’s Country Update all about the bad news has one little bit of good news. 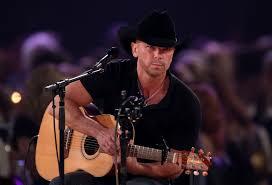 And it comes from Kenny Chesney. Between the Las Vegas shooting, allegations of sexual abuse, and all kinds of “Before He Tweets” political controversies, Chesney has some advice and a fresh perspective to offer. It seems that he also wants people to know that balance comes from seeing that glass as half full instead of half empty. Or kind of just taking the good with the bad.